Sony’s PS4 Pro release is almost upon us, and despite how close we are to launch, there are still many unanswered questions: such as, which games support which features? Sony has unveiled an official list of supported titles, but it lacks this kind of detail. So, we decided to do some research ourselves to fill in the blanks, and at the same time tackle a common question: 4K or 60 FPS? The lead-up to the launch of Sony’s upgraded PlayStation 4 – PS4 Pro – has been a weird one. Can you recall the last time a major console had so little information about its supported games one week before its release? I sure don’t, but that’s a drought that ends with the PS4 Pro. Alright – I’ll concede something before going further: the PS4 Pro isn’t a major console launch. Instead, it’s an iterative release; it’s a PS4, but beefier. Thanks to that simple fact, no game optimized for PS4 Pro is going to be exclusive to that model; they’ll also work on the regular PS4 (a great thing). So maybe, just maybe, we should forgive the lack of clear information? No way. Iterative release or not, we’re still dealing with an upgrade that Sony wants users to shell out $400 for. I feel that the company could care just a little bit about informing its customers, and not leave them wondering why they should be excited. 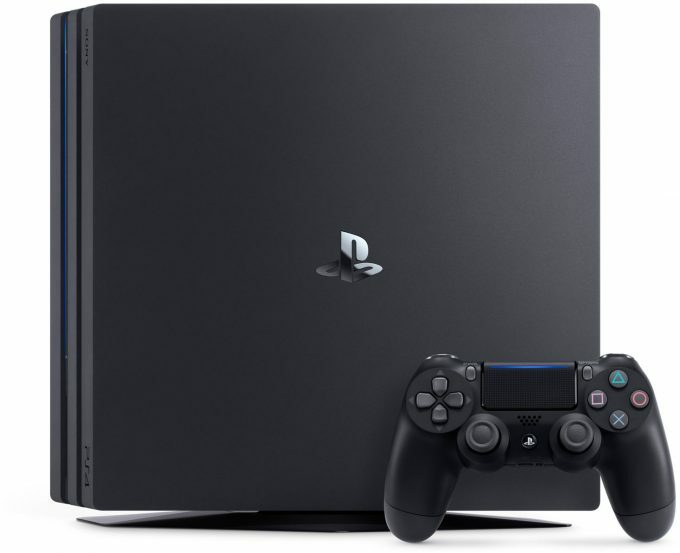 Sure, we finally got official information on which games will be supporting PS4 Pro now and down-the-road, but like all of the lists that unofficial sources have put together since the PS4 Pro’s announcement, it’s just a list of titles, and that has limited use when one PS4 Pro-optimized game could offer an entirely different set of enhancements over another. Much to my chagrin, a major focus of the PS4 Pro is 4K support, but not all PS4 Pro-optimized games are going to support it. Meanwhile, some might support 60 FPS at certain resolutions, or feature enhanced detail. See? This is where it gets confusing. Why should someone run out and purchase a PS4 Pro-optimized game right now just because it’s on some official list? We have no idea how most of the games are going to be upgraded – most of it is just based on speculation or old information. Personally, I don’t want 4K support. I don’t even want it on the PC, even when equipped with powerful GPUs (I’d rather ultrawide, but that’s neither here nor there). As I’ve covered before, 4K is just a crisper version of 1080p (both are 16:9). Meanwhile, a doubling of a framerate is going to be something everyone would notice. I am going to prove both points in the next section. I feel a little bit like a broken record, as I’ve harped on this point multiple times before, but this time, I am providing examples that will help prove the point. Before going further, though, I should note that I am not saying that 4K is useless in general. If games could run at 4K/60(FPS), then I’d without question choose that over 1080p/60. But when it’s a choice between 1080/60 or 4K/30, there’s no comparison to me – the higher framerate wins. However, if framerates don’t matter to you, 4K can offer some other benefits should developers choose to pursue them. I’ll talk a bit about those following this section. Like 1080p (and 720p, and 1440p), 4K is a 16:9 resolution. It’s that aspect ratio that dictates how much of the game world you’ll see, not the resolution itself, which means that a 720p screenshot is going to show no less of the game world than a 4K one. What will be different, of course, is the level of crispness. 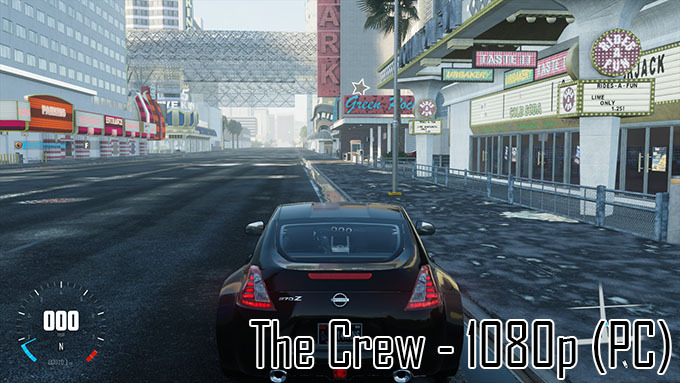 To highlight this, I used The Crew to capture a 1080p screenshot on the PS4, a 1080p screenshot on the PC, as well as a 4K screenshot on the PC. Note: The images above can be clicked on to view the full version. Those who’d rather flick through them in a viewer (I wouldn’t blame you) can download all three of them here (right-click, save as). These screenshots back up the fact that no more of the game world can be seen at a higher resolution if the same aspect ratio is adhered to. What is different, is that the 4K screenshot is much more “crisp”; some objects look more defined. That’s thanks to the emulation of anti-aliasing: on the same-sized screen, 4K is going to look crisper than it does at 1080p. That ties into something I mentioned a moment ago: if framerate doesn’t matter, 4K is worth pursuing, because it’ll look sharper. However, that would apply mostly to those who are playing on a 4K monitor and happen to be sitting right in front of it; the further away you are from the screen, the less noticeable that extra crispness is going to be. What you would notice from 10 feet away, though, is a doubling of the framerate. Let’s tackle that. Note: After starting a video, I’d recommend clicking on the gear and making sure it’s running at 720p for the PS4 version, and 720p/60 for the PC version. You are able to do this and run both videos at the same time inside of this article. You may wish to alternate full-screen viewing with each video to get a better feel for the differences. It shouldn’t be hard to spot the differences in smoothness, but a specific thing I’d recommend looking at are the buildings on the side of the road; those come towards the screen much smoother at 60 FPS. Another good place to look is the road and its markings. 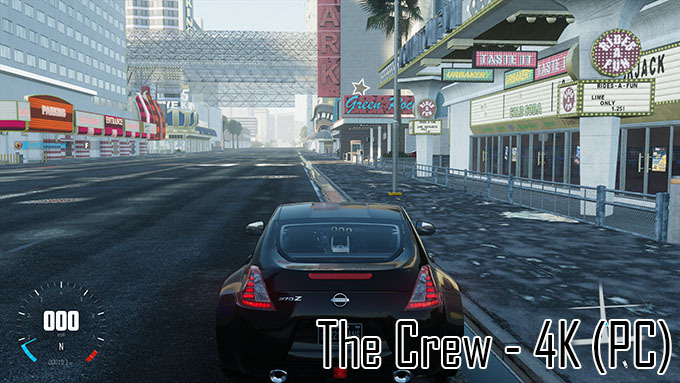 Side note: Having reacquainted myself with The Crew on PS4, I believe that there is no other game I own that could benefit more from a PS4 Pro patch as much as this one. It runs at 1080p, but shouldn’t, thanks to both poor framerates (which seem to dip below 30 FPS at times) and the fact that it constantly loads texture data in the distance while racing. With PS4 Pro, the game could keep its 1080p gameplay, rid the texture issue, and enjoy a smoother framerate. Framerate Be Damned, What Can 4K Offer? “Can” is an important word here; just because something could be beneficial at 4K doesn’t mean that a developer is going to implement it. A constant perk is going to be the one that smooths out the game, making the detail appear a bit sharper. That’s a byproduct of condensing 4x the number of pixels into the same display size – those running 1080p and 4K side-by-side on the same display model are going to easily notice the added crispness. As mentioned before, though, the added crispness is really only going to benefit those who sit close to the screen, whether it be a TV or a computer monitor. The further back you are, the harder the improvements are going to be to notice. The same applies to movies, although because the framerate is going to be identical between 1080p and 4K versions, it makes all the sense in the world to opt for a 4K version, because while the differences are small, there are going to be differences, plain and simple. Another way a developer could enhance a game at 4K is by optimizing the user interface for the larger resolution, either to reduce the amount of room it takes up overall, or to add even more information to it. Adding onto that, special details could be added as well, or enhanced textures, although for the sake of performance, I don’t see that happening too often, even for games sticking to 30 FPS. As covered earlier, 4K is 4x 1080p, and when the PS4 Pro GPU is just 2.3x faster than the PS4’s GPU, it doesn’t bode well for extra detail at 4K. A mere week before launch, Sony decided to reveal a list of games that will both launch with PS4 Pro support, or at least support it soon. Unfortunately, like the myriad lists that have existed elsewhere online since the PS4 Pro’s announcement, Sony’s was just a list of titles, as if it simply doesn’t matter which of the PS4 Pro features each game supports. To iterate on Sony’s list, I scoured the Web for information on each title to figure out which games will support which features. This proved more difficult than I anticipated, because very few developers have offered explicit information about it, and many of those that did delivered the message through a tweet, something a bit useless since the information would effectively disappear after a day or two (unless sites reported on it). Complicating things further, a chunk of the games on Sony’s list have no information at all (that I can see). For those particular titles, I’d imagine that 4K support is guaranteed, but there’s still no official information anywhere. In the case of a game like Battlefield 1, all of the information I could source was rumor; even though the developer itself admitted support, no specific information was given. That said, I hope this research helps some of you better understand what you can expect on launch day. Bear in mind, though, that the supported features listed are just what I could find; it could be that other features not revealed will in fact make an appearance. Again, the lack of concrete information out there is downright baffling. Battlezone Improved anti-aliasing and lighting. Bound Support for 4K at 60 FPS with anti-aliasing. Call of Duty: Black Ops 3 Support for 4K and HDR. Call of Duty: Infinite Warfare Support for 4K and HDR. Call of Duty: Modern Warfare Remastered Support for 4K, HDR, and improved textures. Deus Ex: Mankind Divided Support for 4K, HDR, and “graphic improvements”. EA Sports FIFA 17 Support for 4K and HDR. Hitman Support for 4K. Improved shading & textures at 1080p/4K. inFAMOUS First Light Support for 4K and HDR. inFAMOUS Second Son Support for 4K and HDR. Mafia III Will have graphics upgrades. Mantis Burn Racing Support for 4K at 60 FPS. Middle-earth: Shadow of Mordor Support for 4K. Improved anti-aliasing for 1080p. NBA 2K17 Support for 4K at 60 FPS, as well as HDR. Neon Chrome Support for 4K at 60 FPS. Paragon Support for 60 FPS at 1080p, and improved level of detail. Ratchet & Clank Support for 4K and HDR, and improved level of detail. Rez Infinite Support for 4K at 60 FPS. Rise of the Tomb Raider Supports 4K/30, 1080p/60, and 1080p/30 with enhanced detail. The Elder Scrolls Online: Tamriel Unlimited Support for 4K, and increased detail at 1080p. The Last of Us Remastered Support for 4K and HDR. 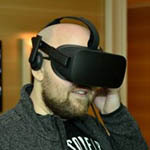 Thumper Support for 4K, improved anti-aliasing in VR. Titanfall 2 Support for “higher resolution” (not 4K) at 60 FPS. Uncharted 4: A Thief’s End Support for 4K and HDR. Wheels of Aurelia Support for 4K at 60 FPS. If you’ve found confirmed information on any of the games I couldn’t, please feel free to leave a comment and I can update the table. In some rare cases, 4K/60 is going to be possible, and given that option, it’s the one to go with. However, as evidenced in the table above, the games that support 4K/60 out-of-the-gate are much simpler in nature than, say, Call of Duty: Infinite Warfare. Bound, for example, doesn’t even have textures; it’s a game composed entirely of shaded geometry. Neon Chrome is a top-down game with modest graphics, but that doesn’t mean that it isn’t beautiful (because it is); it’s just not high-fidelity like a first-person shooter or racing title. In an overwhelming number of cases, 4K support is going to mean 30 FPS. In some other cases, a developer might put a focus on 60 FPS but forego 4K support if it means that target can’t be hit, as we see with Titanfall 2. The developers of that game say that a resolution higher than 1080p will be possible, although we’re not sure what that will be (it might be non-standard). Then we have games like Rise of the Tomb Raider, where gamers will be given a choice between 1080p/60 or 4K/30. If all PS4 Pro-optimized games offered the same, this article wouldn’t exist. So, there we have it. Opinions have been thrown all over, and a look into which PS4 Pro features some games will support have been thrown in the table above for easy consumption. Before wrapping up, I do want to mention that I am not anti-PS4 Pro, and in fact have one preordered. While I am sure I’ll enjoy the console as much as I did the original PS4, I just wish priorities were different. The incredible focus on 4K, to me, just needs to stop. The gain in crispness is not worth all of the extra GPU load. 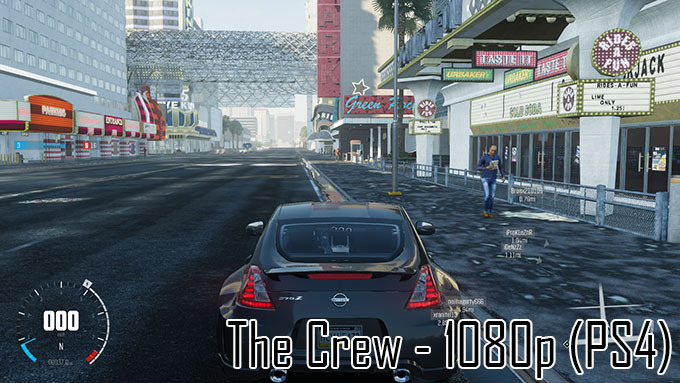 What developers should be focusing on is 1080p/60, or at least 1080p with increased detail levels. And that’s that.